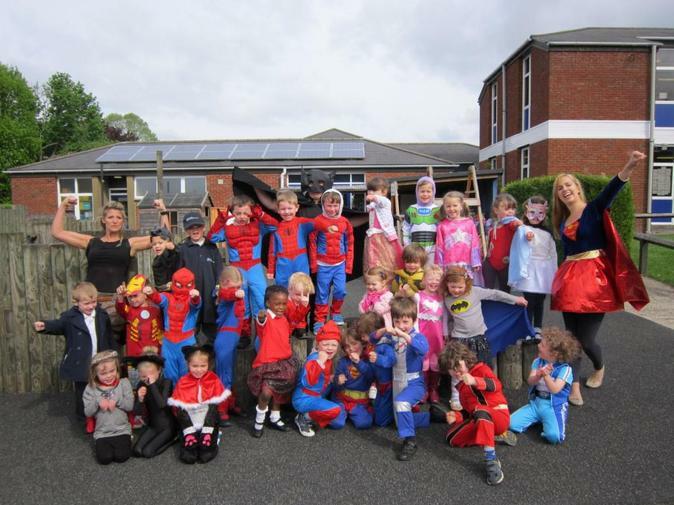 Reception had a brilliant Superhero Day just before half term. They all came in fantastic costumes and had so much fun throughout the day. The children did lots of activities, where they created their own superhero belts or bracelets, made their own superhero cupcake, did some beautiful art work and designed their own superhero. The highlight of the day must have been where a 'mysterious man' came into the classroom and tried to steal something very precious. With the help of the chidlren's superpowers we managed to go after him, hunt him down very quickly and returned what was ours. Well done all of you fantastic Reception superheroes. View more super pictures in our online gallery.